Graham Joyce has a wonderful knack of writing about very ordinary, very real characters that lead generally ordinary lives and yet making those people not only highly engaging but also act in a realistic fashion to events around them. He then places just one small idea that is outside the realms of what we consider "normal", in this case it's the re-appearance of Peter's sister Tara, 20 years after she disappeared following a walk in the nearby woods. Tired, dirty, dishevelled and full of a story about wondering the world, she doesn't look a day older than 16, despite being only that age when she left 20 years earlier. Tara then tells a tale that couldn't possibly be true and yet is the only explanation that fits all the strange facts surrounding the whole bizzare incident. Joyce plays on the idea of belief to great effect within this disarming and wonderfully simple story, the narrative is exceptionally well written and the pace set just right. It's one of those books that manage to suspend any sense of time for the reader and before you know it a substantial part of the book has been consumed, it's dark outside and your tea's gone cold. The way that the story manages to ask questions about why we believe or dis-believe the way we do is quite powerful for all it's understated simplicity. Even when faced with pretty much overwhelming evidence many of us simply refuse to belief in anything outside the "ordinary" while others will believe in the fantastic more readily than accept a more straight-forward or plausible possibility. Each of the main characters are richly detailed and subtly nuanced as are the relationships between them, this combines with some very effective connections, all spun into the relaxed story with a great deal of precision. Even the almost incidental characters such as the old lady across from Peter's family home are described in enough detail to become very real, something that injects another level of "ordinary" within the story. With short chapters and the authors precise prose the pace is spot on, keeping a meandering level that still moves the story forward and never once becoming hurried or too brisk. I love the way that each chapter is headed with a short quote from authors, interspaced with the factual account of the Irish woman Bridget Cleary murdered by her Husband Michael in 1895, who claimed that his wife had been abducted by fairies with a changeling left in her place and that he had slain only the changeling. The case gained a great deal of infamy over the following years and has since passed into legend, often quoted as "the last witch burned in Ireland". It even became an Irish nursery rhyme. Are you a witch, or are you a fairy, Or are you the wife of Michael Cleary? 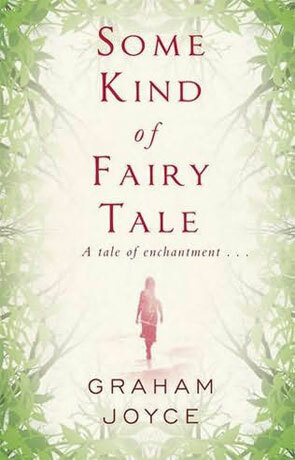 I'd go as far as to say that despite the title, Some Kind of Fairy Tale should appeal to any mainstream fiction reader, you don't have to have the slightest interest in the fantastic to like this book and it seems to have something for everyone. The ending also should be noted as perfectly fitting, some would say abrupt but for me it really rounded the book off and contained all the more power with it's uncomplicated and terse appearance. Some Kind of Fairy Tale is an understated modern classic, a subtle and yet voluble tale that manages to mix modern day madness with fairy tale fascination. Written on 20th August 2012 by Ant.